With my own experience, some of the best and cheap hospitals are listed here. If you have any more, please comment on our comment box. T.U. 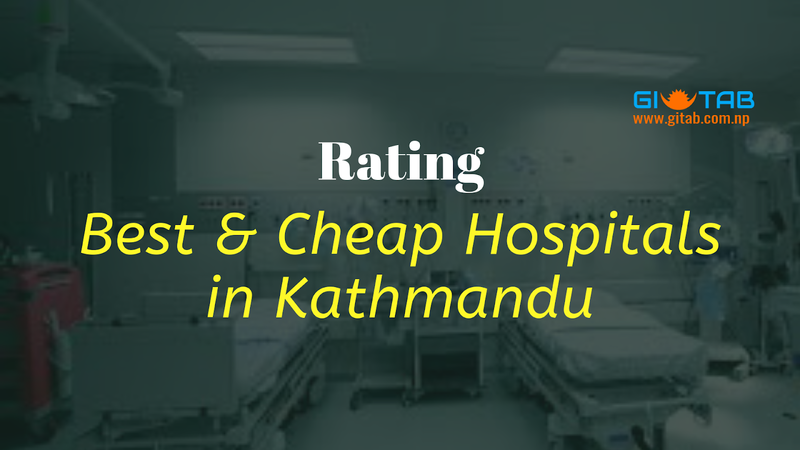 Teaching Hospital is the largest hospital in Nepal with widest health facilities and technologies. It is a non-profitable teaching hospital of Tribhuvan University Institute of Medicine situated in Maharajgung Kathmandu. It is the central referral hospital and deals with all type of diseases. You can take the services of experienced professor Doctors in cheap government rates. It is the most crowded hospital, you have to take a ticket in time for a checkup. Shahid Gangalal National Heart Centre is providing specialist care in the field of cardiology and cardiac surgery. SGNHC is a full-fledged hospital which deals with a wide spectrum of cardiac cases. The center has established as National referral center of cardiology and cardiac surgery. Best cardiac services with latest technologies are available here. SGNHC is paying attention to both the curative and preventive aspect of cardiology & cardiac surgery. The number of patients visiting this center is rapidly increasing. So, recently the hospital has started the facility of paying clinic. This center is rapidly building up a reputation as a hospital dedicated to the heart patient. At Anandaban Hospital, Tika Bhairabh Lele Lalitpur, a holistic approach is taken to cure and care for people affected by leprosy. The Anandaban Hospital staff have a strong connection with patients throughout their entire journey with leprosy. Whether they are in the hospital recovering from reconstructive surgery; undergoing intensive physiotherapy; or in Rosa House (the rehabilitation unit) preparing to return to their community, staff provide a safe and caring relationship with the patients, every step of the way. Tilganga Institute of Ophthalmology (TIO) is the implementing body of the Nepal Eye Program, a not-for-profit, community-based organization. With an aim to act as a model for treatment, research and training, one of the active members of Apex Body for eye health, Ministry of Health (MoH), Nepal and working in co-operation with all other eye care centers in Nepal. Nepal Orthopedic Hospital (NOH) is an Orthopedic specialized Hospital established in the premises of the Nepal Disabled Association (NDA) at the Khagendra New Life Centre in Kathmandu. It has been providing quality orthopedic care with the most affordable price. The most I like there is their normal hospital cost with doctors' and nursing care. B.P. Smriti Hospital is a community hospital with an affordable cost. It has as many as 20 departments with specialized doctors, well-equipped laboratory and OT facilities. Patient care is the most important part of this hospital. It is located behind the Bashundhara Police Beat (Bashundhara Chauki) Kathmandu. Note: Please vote these hospitals in our comment box with your own experience with cost and services.